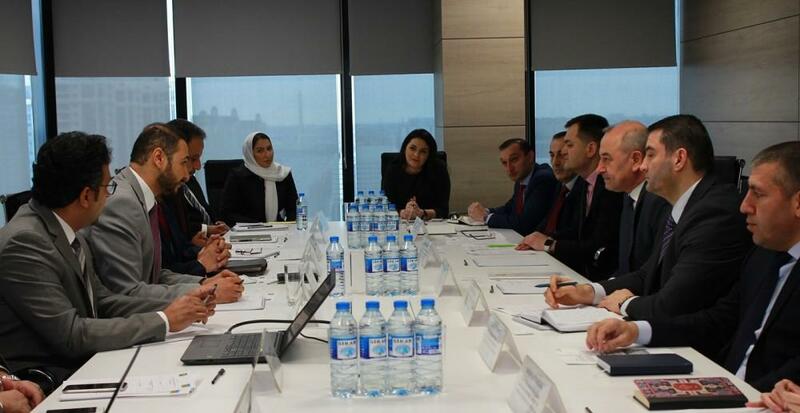 The first meeting of the Joint Technical Commission, aimed at further expanding energy cooperation between the Energy Ministry of Azerbaijan and the Ministry of Energy, Industry and Mineral Resources of Saudi Arabia was held, the ministry told AZERTAC. Chairman of the Commission, Deputy Energy Minister Samir Valiyev noted that the relations between the two countries were developing in all directions, an initiative of intensive cooperation in OPEC + format, as well as the holding of the next meeting of the Joint Monitoring Committee of OPEC and non-OPEC in Baku in March, give an impetus to the development of energy relations. It should be noted that as of December 7, 2018, an agreement was reached at the fifth ministerial meeting of the non-OPEC member and non-OPEC countries in Vienna to cut daily oil production by 1.2 million barrels. As part of the agreement, Azerbaijan has reduced daily production by 20,000 barrels since January 1, 2019. Deputy Minister noted that there are great opportunities for further cooperation in the energy sector and the Technical Commission meetings will contribute to the realization of this potential. The chairman of the Commission from Saudi Arabia, Advisor on International Relations of the Ministry of Energy, Industry and Mineral Resources Shakir Mahrus said that achieving multilateral cooperation in the energy sector meets the common interests of both countries. During the meeting, the sides discussed the prospects for the development of oil production, refining and petrochemical products in the world markets, expansion of relations between Saudi Aramco and SOCAR, prospects of SABIC's implementation of petrochemical projects in Azerbaijan, as well as renewable energy, energy efficiency, cooperation opportunities in energy sector. Saudi Arabia intends to share its experience in renewable energy with Azerbaijan and involve Arab companies in this field, as well as oil and gas sector. The event focused on the creation of a legislative framework on renewable energy, cooperation with the private sector in this field, cooperation with international companies. The cooperation opportunities in the field of natural resources production, joint workshops on energy efficiency, exchange of experience also discussed at the meeting. Importance of preparation and signing of memorandum of understanding between Ministries was emphasized in order to strengthen bilateral cooperation. Finally, the sides signed the protocol on the outcome of the meeting. Saudi Arabia is one of the first countries that signed an energy deal with Azerbaijan. Saudi Arabia participated in the Contract of the Century signed in 1994 in Baku and its Delta-Hess Company had a 2.72 percent share in the contract. In 2012, SOCAR and Soroof International Company signed a Memorandum of Understanding on Oil and Gas Industry in Azerbaijan. As of January 2018, during the visit of Energy Minister Parviz Shahbazov to Saudi Arabia, an agreement was reached to establish a working group between the relevant ministries of the two countries for the development of energy cooperation between Azerbaijan and Saudi Arabia. At that time, it was stated that representative office of Saudi Aramco in Azerbaijan will start operating in the near future. So far, Saudi Arabia's state-owned and private companies invested about $ 370 million in Azerbaijan's economy.